Conversation with director Diego Echeverria about his documentary films, including the revival of the film Los Sures, based on the South Williamsburg community in Brooklyn. We will discuss the film’s relevancy today and focus on adaptation, community building, youth engagement in cultural manifestations, government neglect and resistance. 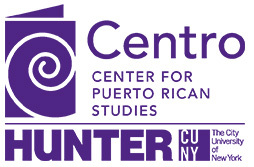 We will also examine how these films are in-depth explorations of community life and important to understand the evolution of Puerto Rican migration and settlement.